Synopsis: Squick has been a longtime fixture of The Sacred Heart’s MC. His boss, Trigger, is their Sargent at Arms after all. It took a while for him to put together a bike to become an official hang-around then prospect and he was pretty thrilled that his other boss, Zander, took the plunge with him. Still, Squick is hiding something, something big that could test friendships, destroy relationships and it has become a mask that is becoming increasingly difficult for him to wear. Squick is miserable, there’s no denying it, and of course now that he is on the very cusp of patching in, that’s when Aaron walks in to his life. Suddenly it’s do or die… Come out to the club and lose the brotherhood and the only sense of true family he has ever known, or don’t and lose them anyways when they find out about Aaron. Squick doesn’t see a third option, and the deeper he gets in to his situation the more his misery compounds. Just what will he do? 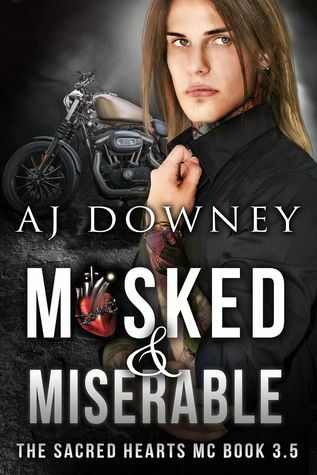 Masked & Miserable is book 3.5 in this series. This novella tells Squick and Aaron’s story. I’ll be honest and say this was my first M/M romance I’ve ever read. It’s not a genre I would normally read, but I love this series by A.J. Downey so of course I had to read it! Squick is one of the new members of the MC, and I just totally adore him! He has such a big heart, and I’m so glad he found someone he can relate to. This is a quick paced novella, but as true A.J. style, it is done with brilliance. 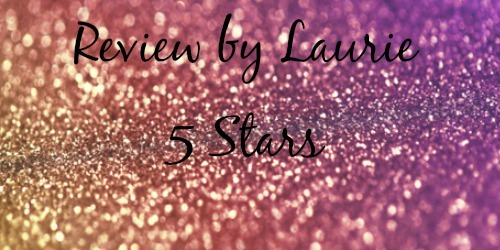 The writing flows perfectly, and the characters are ones the reader will come to love. If you haven’t read the previous books in this series, I highly recommend you do! Get to know all the men of the Sacred Hearts MC and their women!